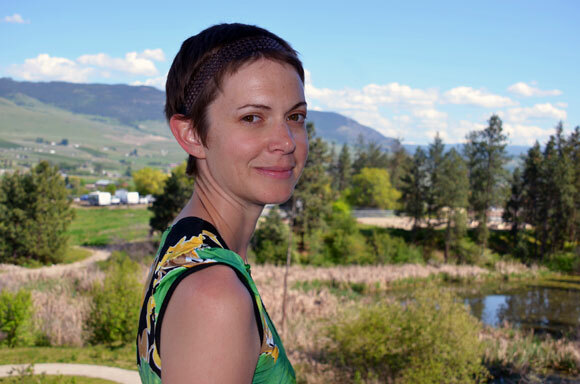 Ashley Little, a double winner at the BC Book Prizes, is working on projects ranging from movie scripts to stage plays, a short story, and a fourth novel. So what's next for prolific young author Ashley Little? She is fresh from an unprecedented dual win at the recent BC Book Prizes this month – notching awards for books in different categories. Little took the Ethel Wilson Fiction Prize for Anatomy of a Girl Gang (Arsenal Pulp Press), the powerful story of a gang of teenage girls in Vancouver, as well as the Sheila A. Egoff Children’s Literature Prize for her young adult novel The New Normal, (Orca Book Publishers), centring on troubled teenager Tamar Robinson. Including first novel Prick, Confessions of a Tattoo Artist (Tightrope Books), that’s three novels in three years. Next up? "There's a fourth novel in the oven," says Little. Plus she’s ploughing fertile new ground. With movie rights optioned, Little is adapting Prick into a screenplay. "It's the most difficult project I've ever worked on," says Little. "This is a whole new game. I've had to completely let go of the book. I realize the book was just my inspiration. I need to finish what I start, so I really want to see this through to production." Besides juggling major works, she recently completed first-year master's studies with supervisor Anne Fleming, an acclaimed poet and author. After earning a fine arts undergrad degree at the University of Victoria, Little chose UBC Okanagan at the invitation of Associate Dean of Graduate Studies Nancy Holmes. Rare are students like Little. "I've had many wonderful and productive students, but Ashley has already done -- three times over -- what most people coming into an MFA hope to do, which is complete a book-length manuscript," says Fleming. "I think she'll be one of those writers like Helen Humphreys or Carol Shields who has a book out every two years. I think in a decade she'll be a very well-known, widely read Canadian writer." Occupied with multiple literary efforts, Little is working on a short story in the magic realism genre called The Princess and the Rat, a fictional account of the Robert Pickton murders. She also has in mind a grand novel about the infamous D'Arcy Island leper colony, where infected Chinese immigrants in BC were sent to suffer and die in isolation without medical treatment during the early part of the 20th century -- while white Canadians were given hospital care. An inveterate researcher -- Prick took six years of intense exploration before Little penned a word -- the D'Arcy Island story will percolate a while. "That's something for the 40-year-old Ashley to contemplate," she says. Meantime, screenplays, stage plays and more novels are on Little's ambitious itinerary. "I would like to try to make a living out of writing," Little says. "I don't know what it will look like, but I know it won't be anything else." Career advice for aspiring writers? "Only do it if you can't possibly imagine doing something else."